Nothing screams “home” more than framed photos scattered around. You relive every moment as you gaze at a picture. But there’s only so many photo frames one room can hold. And, quite frankly, we all get sick of our decor and demand change every once in a while. That’s why making a collage of you and your family can be a trendy yet cozy way to spice up your living room. And it’s extremely affordable too! Whether be it a graduation, your baby’s first birthday, a romantic getaway or that one night when you just couldn’t stop laughing, pictures capture a moment in time, engraving a whole day and a whole lifetime in your mind. Filling your home with pictures is what transforms a mere house into your home. Not only are photo frames very ornamental, they also give your furniture that unique touch. It is true that with the rise of the digital camera we seem to be taking more pictures than ever before, but preserving very few. We collect pictures on our computers, but never seem to print any. That’s why combining as many pictures as you want into one big family collage will allow you to finally put some of those pictures into use — and it will add a modern, hip touch to your walls. You do not need to print out a million and one pictures. This is actually very affordable as most of the work will be done on your computer. A collage sounds like a lot more work than it truly is. You do not need Photoshop or a savvy program to do this professionally. All you need is Paint, which is available on any computer. Simply open all the desired photos using Paint and play around with their size and position. Truly customize your collage — if a collage doesn’t already sound customized enough. You can mix and match different events, days, and family members, filling up the page with as many pictures as you desire. In the end, you will only have to print one picture, which you can do at any printing store cheaply. After having printed your photo, it is time for a frame. 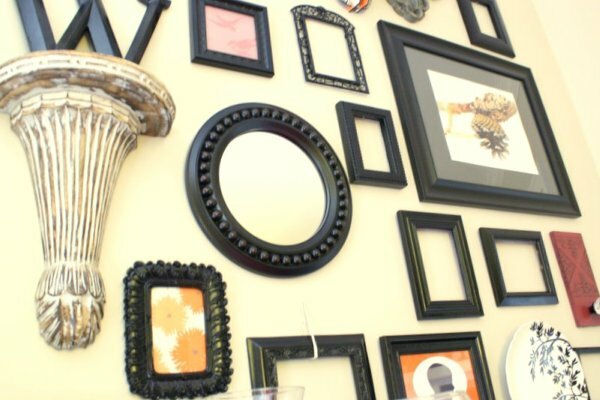 You want your collage to be visible on your wall, and big enough for each photo to show, so it might be better to use a painting frame or a large photo frame. Your collage will warm up whichever room you choose to place it in and will keep your decor congruent and harmonized if you choose a frame that blends with the overall style. A more rustic frame can add value and depth to a dining room, while a hip frame can brighten up a living room.